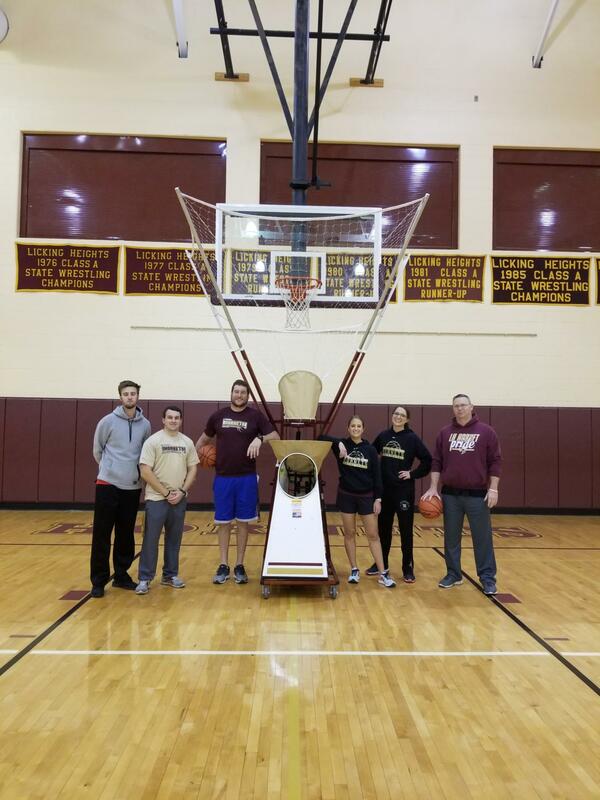 Thanks to the Licking Heights High School Athletic Boosters, who provided new basketball athletic equipment to LHHS. The purchase of the Shoot-A-Way practice machine will help our high school players improve their game. The boosters thank the parents, families, friends and students that helped made this purchase possible through their volunteerism at the athletic concession stands. With continued help, the organization looks forward to funding more purchases like these to help improve our athletes' skills.